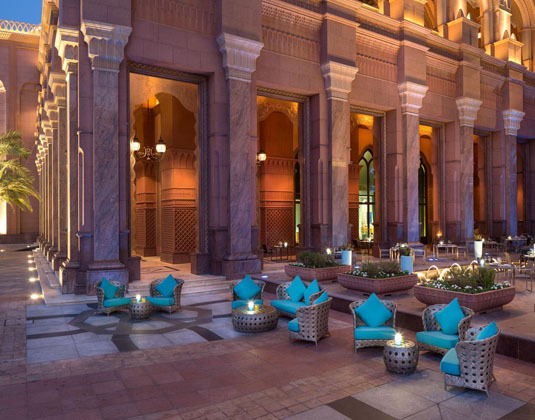 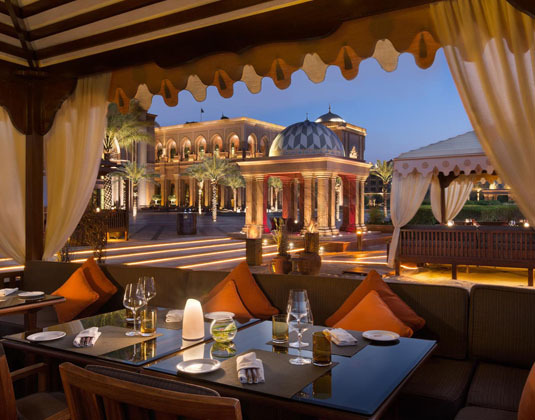 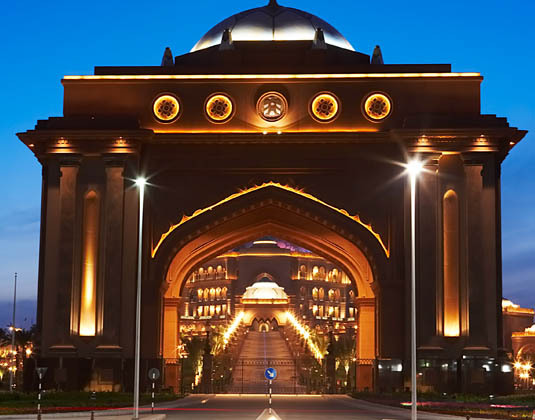 Famous for having it all, the incredible opulence of the Emirates Palace never fails to amaze. 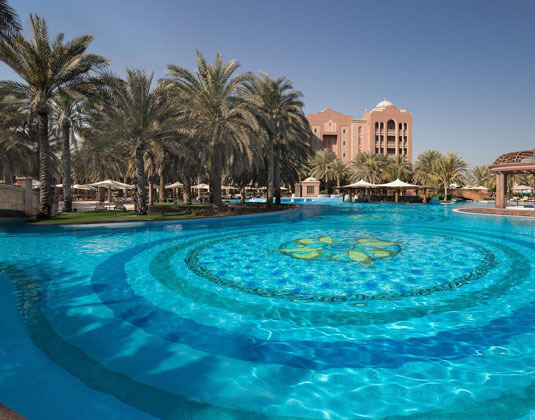 Set on a mile long stretch of private white sandy beach and surrounded by perfectly manicured gardens, this is Abu Dhabi's answer to Dubai's Burj Al Arab, at a much lower price! 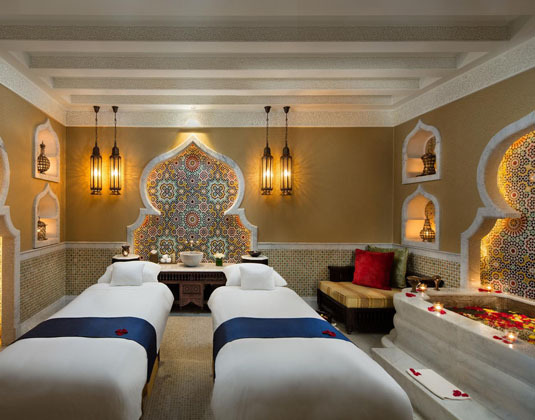 Generously spacious and providing uncompromising luxury, rooms and suites are fit for a king, the heavenly spa is most enticing and at the restaurants, chefs expertly prepare food which is a feast for the senses. 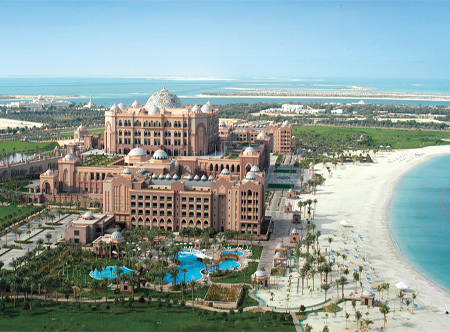 A serene paradise which promises an extraordinary and unforgettable experience. 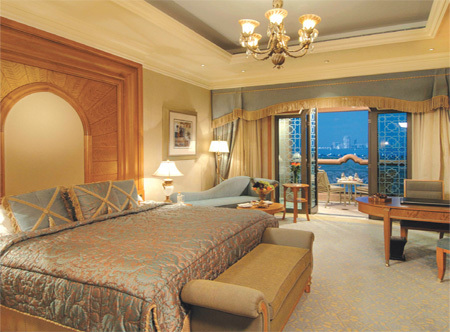 In Coral rooms with views of the garden, air-conditioning, bath and separate shower, multimedia system including touch screen control panel, mini bar, safe, butler service and balcony. 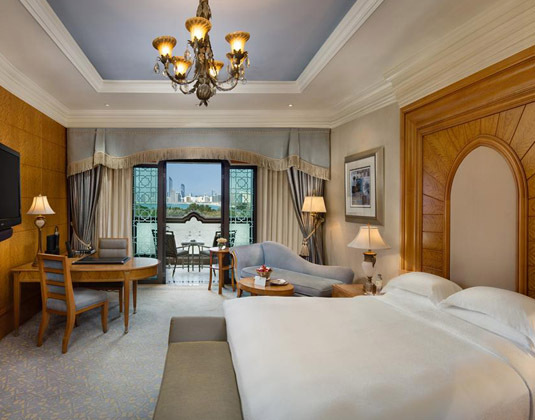 Pearl rooms which offer garden and partial sea views * Diamond rooms which have direct sea views * Khaleej suites which include lounge access, 24 hour butler service and free return transfers to and from Abu Dhabi airport * Khaleej deluxe suites. 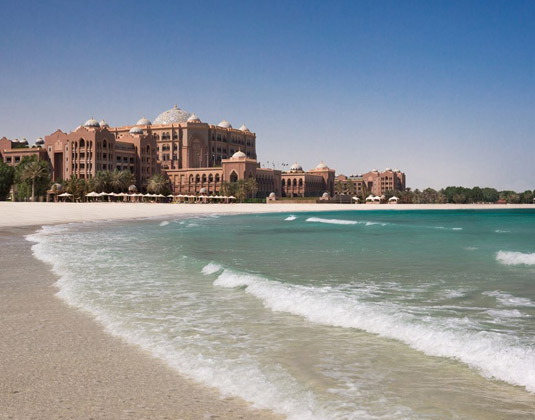 45 minutes from Abu Dhabi airport.